I’ll share how having Hilton Honors Gold status saved us Big Money and got us a more comfortable stay at the Conrad Tokyo. And how you can earn free Hilton Gold status, too! 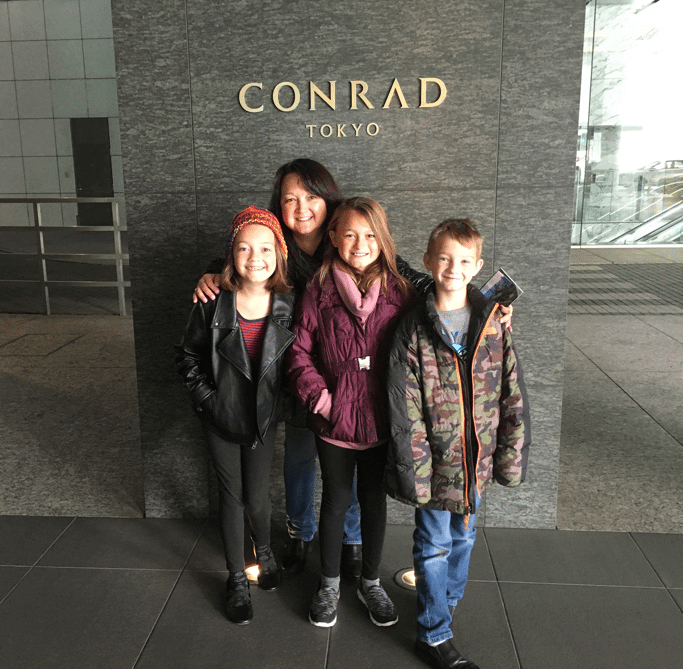 Last week I wrote about how I booked a free night for my family at the Conrad Tokyo for ~37,000 Citi ThankYou points instead of paying 159,000 Hilton points for the lowest-priced award room. I was a little worried that the Conrad Tokyo would NOT recognize my Hilton Honors Gold status, because some folks report they haven’t gotten elite benefits when they’ve booked Hilton stays with Citi ThankYou points. 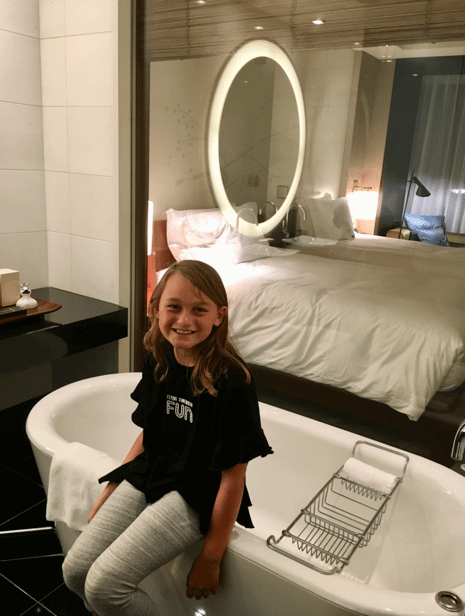 The Conrad Tokyo Far Exceeded Our Expectations – and Now the Kids Have a New All-Time Favorite Hotel! 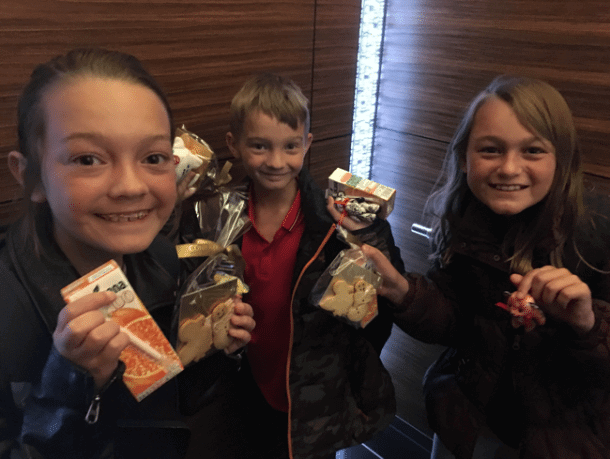 But I’m excited to report that the Conrad Tokyo not only gave us elite status perks, but went above and beyond to make our short stay extra special for the kids! 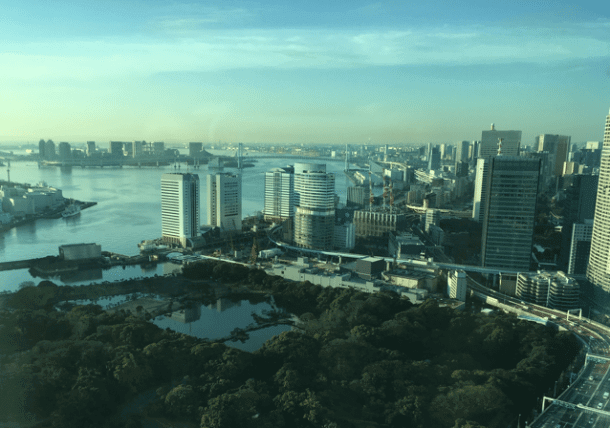 We got an upgrade to a high-floor room overlooking Tokyo Bay, an incredible free breakfast, and all kinds of amenities we didn’t expect. Hilton’s terms and conditions say you’ll only earn points / stay credits and receive elite status benefits on bookings made directly with Hilton or through an accredited travel agent. So I knew I’d likely NOT get points or stay credits booking through the Citi ThankYou Travel portal. But reports online suggested that some Hilton hotels (especially overseas) would still offer elite perks on 3rd-party bookings. I was thrilled and so grateful that they honored my elite status. Especially for the free breakfast, which saved us a ton of cash in a city where food is otherwise very expensive! 1. An Upgraded Room With a View! Hilton Honors says Gold Elite members get space-available upgrades to preferred rooms. I’d booked a City View King (the cheapest option on the Citi ThankYou travel portal), intending to put one kid on the couch and squeeze into the king bed with the other two. Instead, the check-in agent moved us to a Bay View Twin, which had a spectacular view of Tokyo Bay. It was much more comfortable, with 2 oversized beds that were just slightly smaller than a double bed. The kids weren’t as much impressed with the view as they were with the luxurious room! Especially the fancy Japanese toilet with heated seat and spray functions, and standalone soaker tub with a view into the bedroom. 2. We Ate a ~$140 Breakfast – for Free! We don’t usually splurge on luxury hotels, so when the kids think of free hotel breakfast it’s usually along the lines of cereal, toast, scrambled eggs, and maybe cinnamon rolls. Boy did their eyes get big when we walked into Cerise for our meal the next morning! It was an indulgent spread of Western and Japanese dishes, all of excellent quality and beautifully presented. 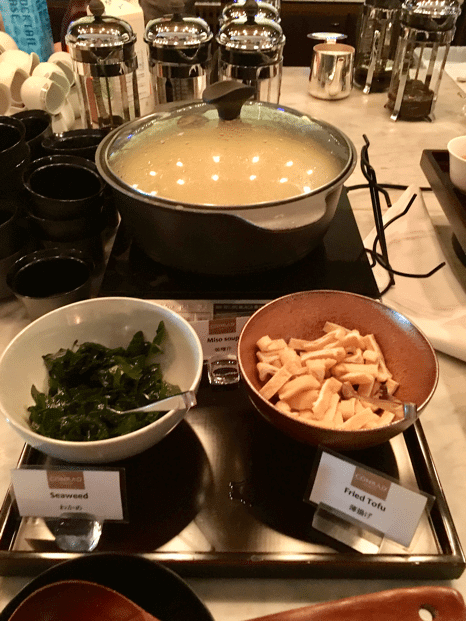 Plus, each guest gets to pick an a la carte breakfast entree in addition to the full buffet. Here’s the menu. My oldest daughter and I each got eggs benedict (ham for her, smoked salmon for me). And my other daughter got the French toast with apple compote and maple syrup. Frustratingly, my ever-picky son stuck with the buffet and gorged on waffles with Nutella and fresh mango juice – at least there was a fruit in there! 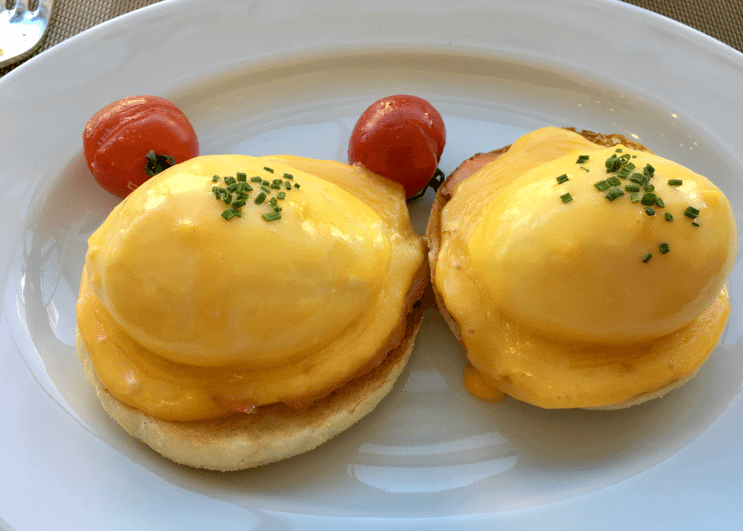 Breakfast at the Conrad Tokyo costs 3,900 Japanese Yen (~$37) for adults, and 2,150 Japanese Yen (~$20) for children under 12, plus a 15% service charge and 8% consumption tax. My oldest is 12, so had we paid cash, this breakfast would have cost ~$140 after taxes and service charges (~$114 breakfast cost for 2 adults and 2 children + 15% service charge + 8% tax). This perk, by far, is my favorite money-saving trick from having Hilton Honors Gold status! There’s nothing mentioned on Hilton’s page about welcome amenities for Gold Elite members. So we were pleasantly surprised when they asked us at check-in if it was too late to bring some goodies up to the room for me and the kids. It was past 10:00 pm, but it’s never too late for a check-in amenity! Sure enough, not 5 minutes after we got to the room, there was a knock on the door. And a gracious attendant delivered some very nice treats! 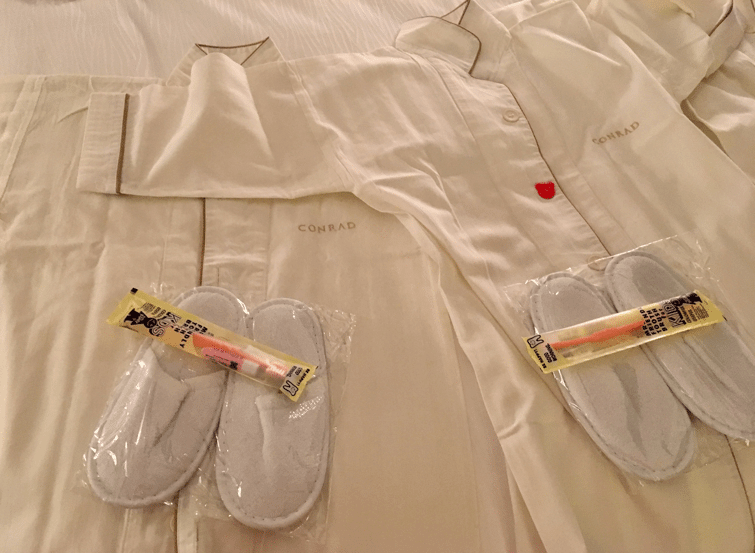 The kids were delighted with their very own amenity, which included comfy Conrad pajamas, a kids’ toothbrush and toothpaste, and slippers. You can’t really put a dollar value on bonus perks like these. But the memories of our stay and the impeccable service we experienced will have the kids talking about it for years! It’s super easy to earn Hilton Honors Gold Elite status! You don’t have to be a frequent traveler or even have paid stays at Hilton hotels. Note: If you open an AMEX Hilton card, your Gold Elite status comes automatically. But with the AMEX Platinum cards, you’ll have to request it after opening the card by enrolling on this website. And if you’re looking for an even better experience, the Hilton Honors Aspire Card from American Express comes with automatic Hilton Honors Diamond Elite status. It includes all the perks of Gold status, plus Executive Lounge access at many Hilton brands, and usually better upgrades. I’ve got Hilton Gold status from having The Hilton Honors American Express Business Card, which has a $95 annual fee (See Rates & Fees). If you stay at Hilton hotels frequently, you can more than make up for the cost with perks like free breakfast and room upgrades! 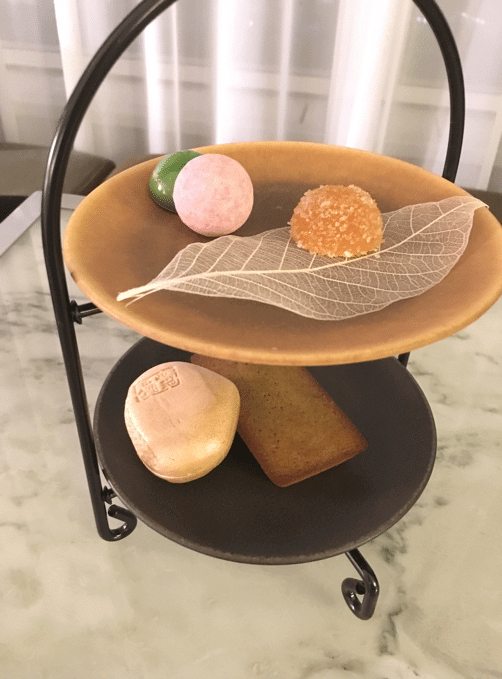 I was pleasantly surprised when the Conrad Tokyo recognized my Hilton Honors Gold Elite status on a recent stay with my 3 kids. Because I hadn’t booked directly with Hilton, there was no guarantee they’d offer elite status perks like free breakfast or an upgraded room. We had a wonderful experience in our Bay View room, and the complimentary full breakfast was one of the most extravagant I’d experienced in my travels! The kids especially loved the fact that they received their very own welcome amenity, and everyone on staff was warm and gracious. You can get the same perks, too! It’s easy to earn complimentary Hilton Honors Gold Elite status from cards like the Hilton Honors Ascend Card or The Platinum Card® from American Express. Just keep in mind, you may not receive your elite benefits if you book through a 3rd party like the Citi ThankYou travel portal. Have you received elite status perks when you’ve booked Hilton (or other hotel chain) stays through the Citi ThankYou travel portal? I’d love to hear your experiences in the comments! For rates and fees of the Amex Hilton Honors Business card, click here. Always good to here success stories. Curious though since you originally booked a king, were you all 4 going to share that one bed? Or how was it even with two twin beds? I know when traveling overseas with the 4 of us, its always hard to decide to cram into one room (when hotels allow kids to use existing bedding) or get two rooms. We usually go with two rooms which often means we don’t get upgrades though. Hi Trup – The rooms at the Conrad have a long couch, so when I originally booked the king, the girls and I planned to sleep in the bed and my son would take the couch. They’re still little enough to get away with squeezing 3 in a bed. The 2 twins were actually very oversized – almost as big as a double. So we were more than comfortable. Totally get where you’re coming from though – I’m sure when they’re all teenagers we’ll have to consider booking 2 rooms overseas.